Thinking of taking the dive into self-publishing, or still new to navigating the Indie waters and need a life line? 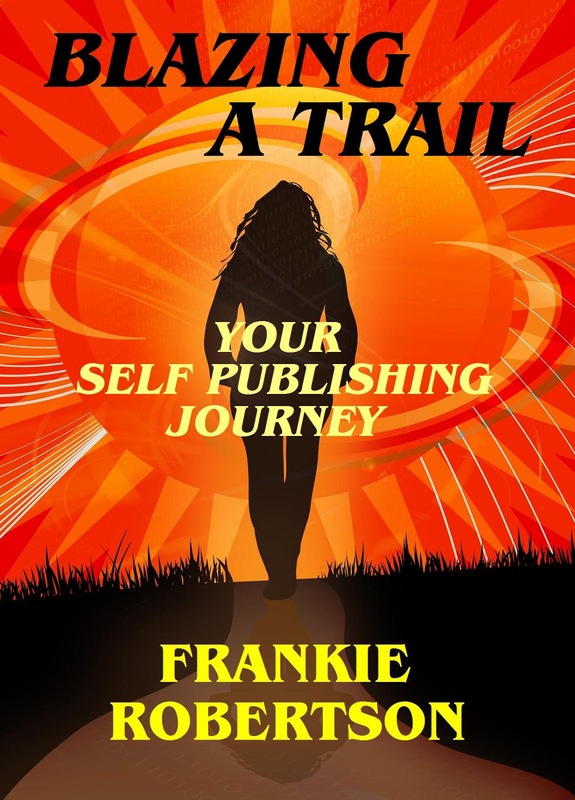 Happy news, BLAZING A TRAIL: Your Self Publishing Journey has just been released. Settle in for a warm chat with award-winning author, Frankie Robertson, as she shares her own journey and offers generous advice and lots and lots of resources. 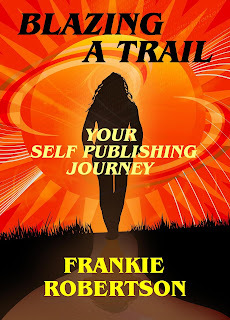 I’ve known Frankie since her early days as an Indie author and before I started on that path myself. How I wish I’d had this book as an introduction to what was often an overwhelming prospect – Where do I start? Where can I find the answers I need? How much will it cost? 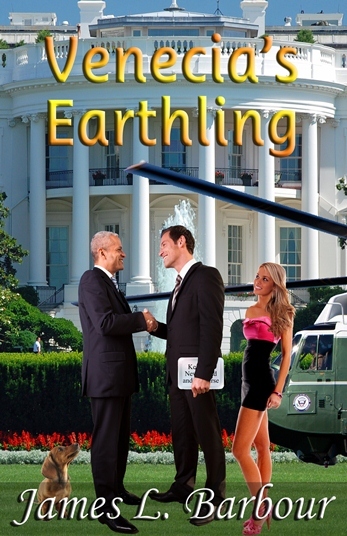 How do I produce the book and then promote it? Etc. 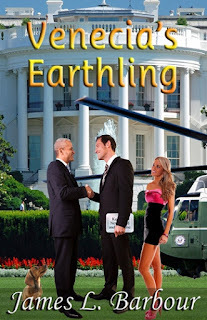 where she’s posted over a dozen interviews from BLAZING A TRAIL with best-selling authors who have gone Indie and for current musings from this talented author. Incredible! Fabio turned 54 this week on Friday, March 15. I’m still getting my head around that, but I think that the man still looks great for every one of those years. Huffington Post celebrated Fabio's birthday by revisiting 40 of his best book covers. Yippee! 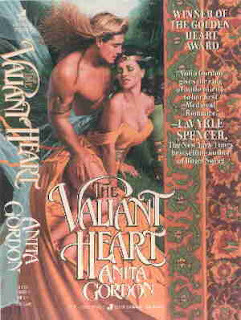 THE VALIANT HEART appears at #20. Here he's portraying my Danish hero, Rurik. The cover was painted by artist, David Stimson, in 1991. Fabio's 54th Birthday Is Just A Good Excuse To Revisit His Best Book Covers! A LITTLE UPDATE: Jimmy Thomas will soon begin the photo shoots for the four new HEART series covers. 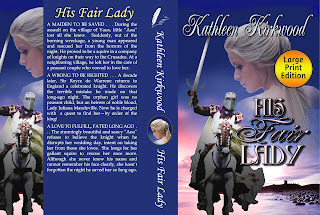 He's going to great lengths, having had a new, period-accurate wardrobe sewn, selecting just the right medieval weapons and will even be dying his hair blonde and adding hair extensions for my two Norse heroes, Rurik and Lyting. Much more to come on that! Jimmy has been absolutely fabulous to work with and I'm looking forward to sharing the new covers with you soon, as well as the newly revised books. March in Tucson is “TFOB Time” — meaning it’s time for the annual Tucson Festival of Books when authors and readers congregate on the University of Arizona campus for two days of books, panels and fun. This year’s festival had a chilly start with rain on Saturday when we were all bundled up in our coats. But on Sunday, temperatures rose to a sunny high and the outer layers were shed. Mr. KK came out for the event as well. We walked our feet off, attended some great talks, and reminisced of our days at the U of A back in the late ‘60’s. Couldn’t resist closing out this blog with a glimpse of where we first met. Pictured is the Admin building where, long ago, a student dance was held on the back (parking lot) side. Whether Murphy’s Law was at work, for or against us, that night, I cannot say. The dance was delayed an hour due to trouble with one of the band’s instruments. I hung around, almost ready to leave when the music finally started. Just then, Mr. KK, who had been on a date that had totally “bombed,” as we used to say, returned the co-ed to her dorm and came over to the dance. The rest, of course, is history. ﻿They can also be purchased through Amazon by searching for "Kathleen Kirkwood Large Print". Mr. KK here. This is a quick note to let you know that we’ve just finished reformatting Shades of the Past for distribution as a LARGE PRINT trade paperback book. We’ve adhered to the guidelines provided by the National Association for the Visually Handicapped (N.A.V.H.) and have set the 6” x9” book in 16 point Book Antiqua typeface with generous leading (space between lines). It is now in the approval process with Createspace and will be available in a day or two on Amazon. It will be distributed via Createspace’s Expanded Distribution channels and thus available to other booksellers and libraries, as well. Below is the new cover flat (the flat is 9.25” tall by 13.5” wide – 1/8” will be trimmed off of every edge, which will make the final size 9” tall by 13.25” wide and the book will be 1.25” thick). Createspace will add the UPC bar code label to the flat in the blank space on the back cover. Additionally, here’s a screen capture of sample pages from Microsoft Word. Please keep in mind that each page is 6” x 9”. 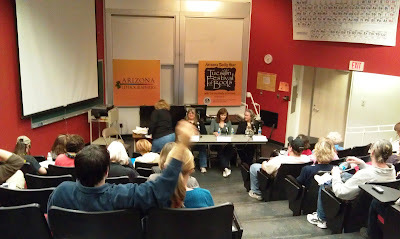 In celebration of the upcoming Tucson Festival of Books (March 9-10), I've enrolled in Smashword's "2013 Read an Ebook Week" promotion and am offering a couple of our ByDand Publishing e-books for free. Coupons are good from now until midnight Pacific time, March 9th.